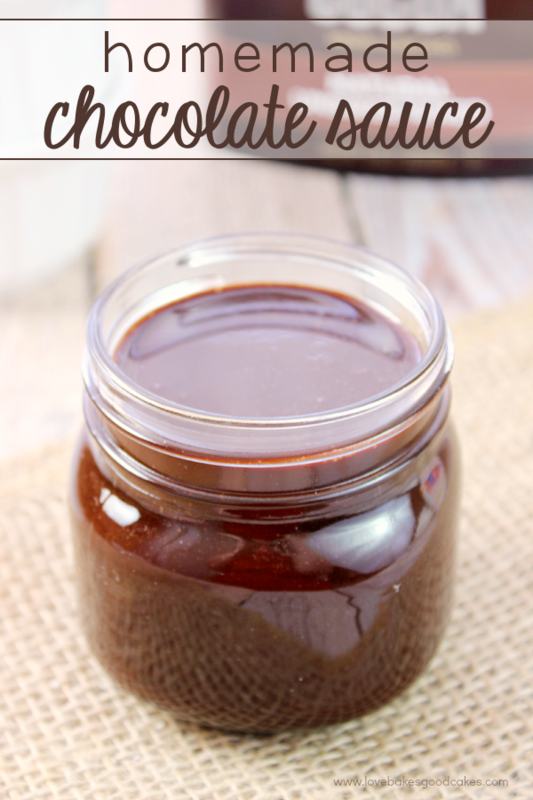 Why buy the bottled stuff when it’s quick and easy to make your own Homemade Chocolate Sauce at home? Great way to make chocolate milk or serve it on ice cream or other desserts! Have you ever put something on your grocery list only to get to the store and realize it’s not on the shelf?! Ughhhh …. isn’t that the worst? That happened to me a few years ago when I needed some bottle chocolate sauce. I lived in a small town in the Midwest at the time, it was winter and I didn’t want to drive to the other side of town to another store just for chocolate sauce. 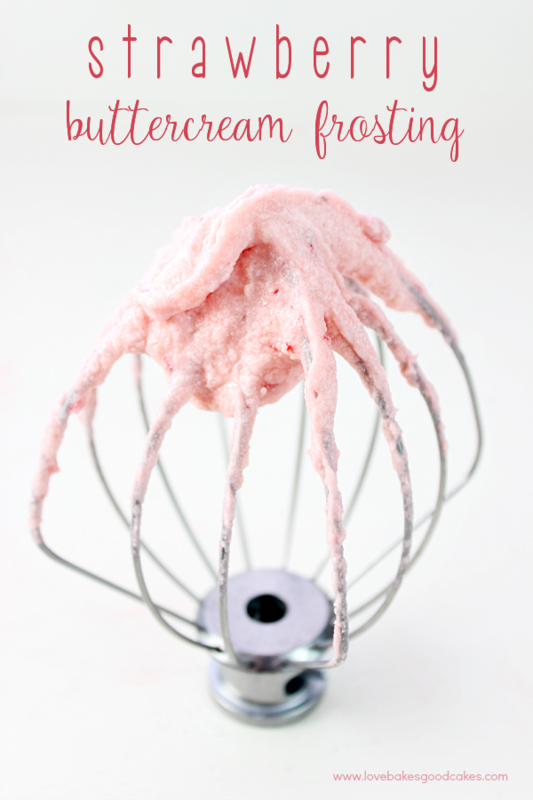 I had to find a way to improvise and ran across this recipe that I have been using ever since! My kiddos go gaga for this stuff! I love that it’s easy to make with things I already have on hand! 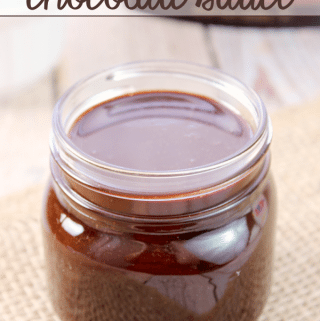 Whether you use it for chocolate milk, on ice cream or in your favorite desserts, there’s no denying how delicious and versatile this homemade chocolate sauce is! Enjoy! 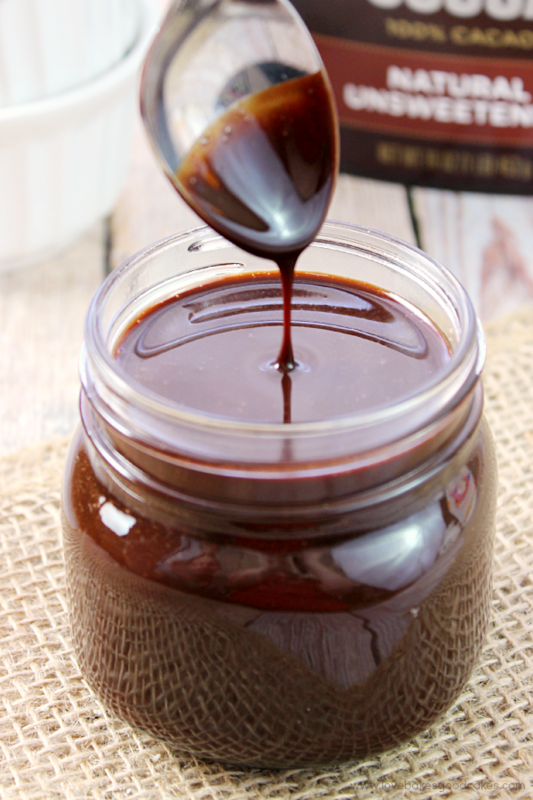 Why buy the bottled stuff when it's quick and easy to make your own Homemade Chocolate Sauce at home? Great way to make chocolate milk or serve it on ice cream or other desserts! Place the first 4 ingredients in a large saucepan. Slowly whisk in the milk. Bring the mixture to a boil, whisking occasionally. When the sauce comes to a boil, reduce heat to low and simmer for 5 minutes, whisking often. Remove from the heat and add vanilla. Allow to cool completely. Cover and refrigerate. Use within 10-14 days. I have some ice cream in the freezer right now that is totally screaming for this!!! 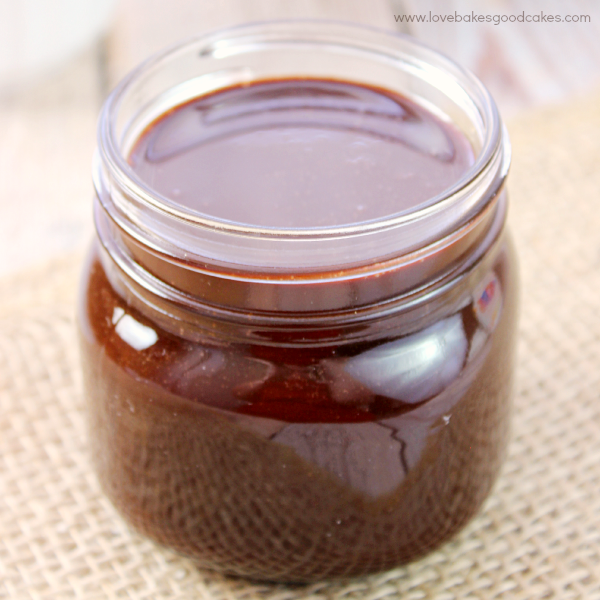 Love Chocolate Sauce!! Great job, my Friend! Super excited to try this recipe. I'm throwing an ice cream themed sprinkle and plan on serving this and your salted caramel. Lovely blog! Looks delicious. 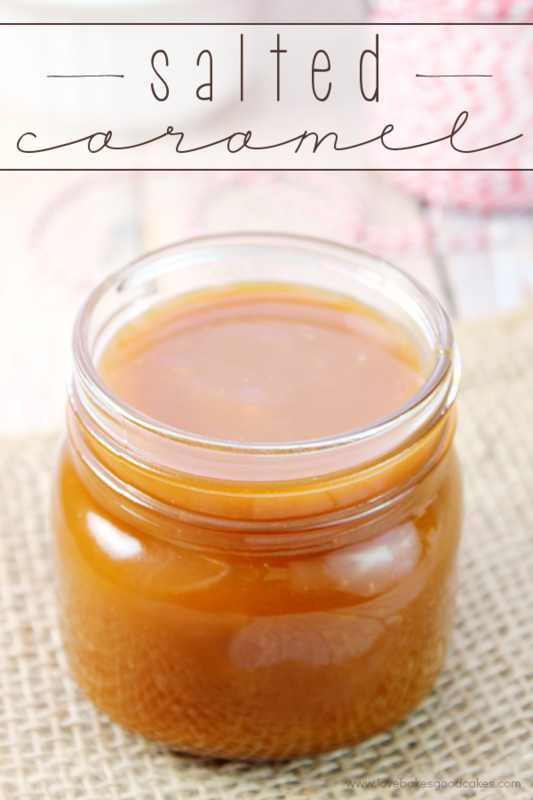 Question for you – i would love to make both chocolate sauce and caramel sauce that I could can for gift giving. Can you help? 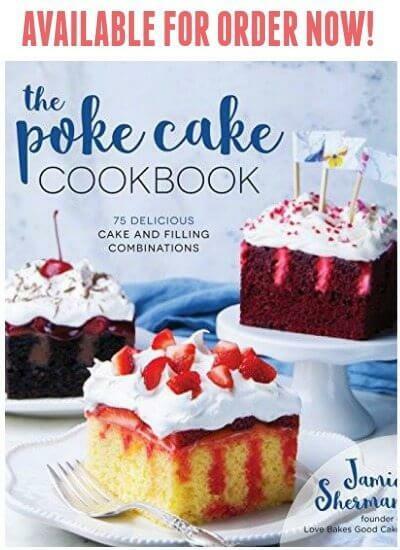 Love your recipes, Jamie. 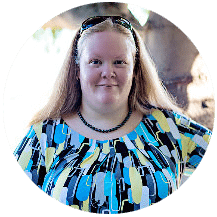 I can always find something delicious on your blog! Thank you so much, Mary! I think both would make a wonderful gift. I’m not sure what the best way to gift them since they need to be refrigerated. If anyone else has ideas, I hope they comment!